While some people are more than happy with just the fact that they getting married, most of them want to make their weddings the most memorable and exciting day of their lives such that it wows their guests. Successfully pulling of such a spectacular wedding can be a difficult tasks and you might be better off hiring an Indian wedding planner. 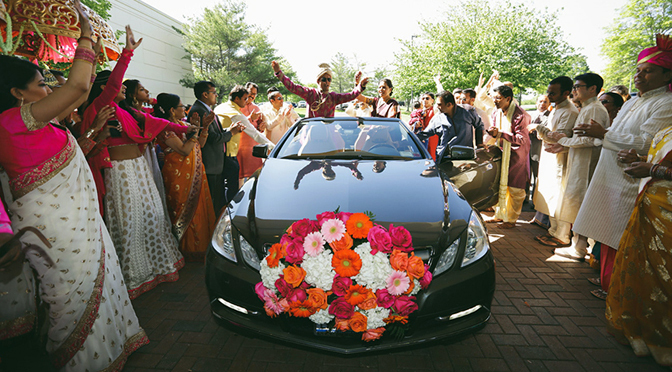 Whatever you decided to do, here are some essentials for your Indian wedding in New York, to make sure it is a memorable event. Decorations are an important element of Indian weddings. Flowers may seem ordinary but they carry an important sentiment when it comes to giving the wedding ceremony an Indian flair. Flowers have the capability of beautifying any entire wedding set up. Just like flowers, lighting arrangements are also important to give the surrounding theme and decorations an uplift. All these decorations contribute greatly to make your Indian wedding in New York as spectacular as possible. You might not realize this yet, but the mic controller is also an extremely important part of the wedding. The MC is the person who basically hosts the wedding event by telling people your stories or sharing jokes. If the MC fails to entertain the guests the event might not go as well as planned. Therefore, think of someone energetic and charismatic to be the MC at your wedding to make it a memorable event that people end up talking about on a positive note. You cannot miss out on the fact that music is a big factor in giving a big boost to energy and mood during the wedding event. The type of music and the playlist for your wedding depends on where you are from or something that the guests would enjoy. Most wedding planners include DJ’s in the wedding packages, but if they don’t, find someone in your circle to do the job or make a wonderful playlist all by yourself. Nothing makes a wedding more memorable than a wonderful photo collection of the event. Anyone would want the greatest moments of their life captured and preserved forever, therefore, getting a professional photographer for your wedding is a must. Besides that, Indian weddings are also known to have full video coverage of the event for families and friends to see again and again. Whether you are a fan of designer clothing or prefer the regular tailored fits, dresses at Indian weddings are vibrant in color and quite fancy. For the bride, the dresses include heavy sophisticated embroidery and handcrafted designs that make a very bold statement. Dresses for the groom are usually designed to complement and match the brides dress. These dresses can take a long time to make so get yours made before the wedding nears. Many of you might agree with the fact that food is one of the most important elements of Indian weddings, especially for the guests. The amount food cooked and served at Indian weddings is enough to feed an entire army. Make sure you double check on the food arrangements and pick a menu that your guests would enjoy.